In the modern-day business world, Search Engine Optimization is a long-term investment and a worthwhile marketing tool to boost business growth and to increase business sales and profits rates. When it comes to optimizing your content for the search engine, it is easy to get overwhelmed with the huge amount of data and information available. There’s no single way of doing search engine optimization. With tons of SEO practices and methods, it can be challenging to decide on a single method and practice your skills. Regardless of which strategy or method you choose, proper execution of SEO can boost your online presence and can drive a large audience and business prospects to your business organization and company. A great SEO strategy plays a pivotal role in elevating your search engine results page ranks. 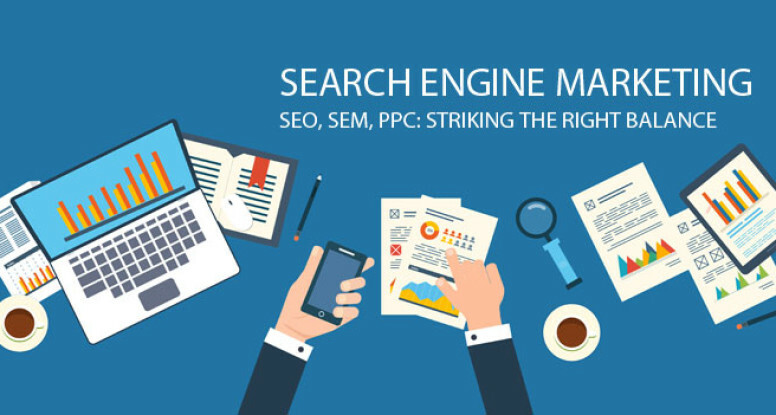 If your business doesn’t end up in the topmost search results than it is quite possible that your competitor is taking your place in SERP rankings and eventually your company and organization. To give a competitive edge to your business and to stay ahead in this highly competitive business world, it is essential to stay updated with the current and upcoming SEO trends and techniques. When the blog craze hit the internet and the marketing worlds, it was all about keyword stuffing and enriching the content with various keywords to increase the SEO ratings. Not only keyword stuffing, but domain matching and hiring Wikipedia page creation service for improved SEO was also a thing. Last year was an eventful year for SEO technique and trends; however, this year an-year old techniques would still be functional but with a little innovation. Where 2018 was the year of the rise of new SEO techniques and ideas, 2019 would most probably be the year of innovation and improvement. Even though it is not a new concept, mobile SEO is still one of the most widely-used and [popular marketing ideas of 2019. We are living in an era where giving the users a cross-device experience is one of the best strategies to boost your marketing outcomes. Developing seamless UX designs and mobile-oriented sites and apps are what this highly-digitalized business world demands. With each passing, the number of mobile and smart device users are increasing exponentially so without targeting the audience that accesses everything through mobiles and smart devices one cannot achieve business expansion targets and objectives. Since mobile devices and apps are quicker and easier to browse a delay of a single second in browsing and loading can cause you a loss of a potential consumer and customer. Mobile optimized sites take less time than those which are not mobile-friendly. Understanding the nature and type of user query has never been of such importance as of now. Without having a clear understanding of what are the frequently asked user queries one cannot update or optimize the content as per the users’ demands and needs. With adaption of better and innovative technology, the use of voice search and queries is expected to increase in coming years. Voice search is all about providing accurate answers to the users whenever it’s needed. The way a user type is different from the way of speaking of the user which makes it a reliable method of querying and searching. The best part about the voice search is that you are not limited to one query or a particular answer it the answer is not up to your standard you can immediately refine your query until you get what you want. Voice search helps in understanding the user intent which is crucial for increasing the proclivity for accurate and user-intended answers. E-A-T stands for Expertise-Authority-Trust. These three principles might prove to be the golden rules of SEO marketing when it comes to developing optimized content. Every composed and written piece should be a reflection of your expertise and should showcase your authority on the discussed topic and subject. Once you have incorporated these two principles, gaining the trust of a large audience and viewers is evident. In a world of the glut of information, there’s no room for content that offers no value or is unworthy of user’s time and energy. Share your expertise through various case studies. Show your strong grasp on your field and its related topics and subjects by listing different credible websites which published your content. Once you have the readers’ trust, maintain it by stabilizing the relationship and providing the readers and targeted audience with updated and high-quality content. Got a query? Google it; it is one of the widely-use catchphrases for searching. One thing people usually forgets or neglects is that Google doesn’t have the answer to your query; it simply directs you to the link with the most relevant answer to your query. However, with new year the newer concept that search doesn’t mean Googling answers, there are other platforms with search functionality as well. Google is crowned as the only gateway to the required information; such is not the case anymore. It doesn’t imply that Google is dying out, it is still far from losing even a tinge of its importance, but now people have other options and platforms where people are investing their efforts to come in the public’s eyes. Machine learning is a wide-spreading and rapidly growing technology. The thing to watch in 2019 regarding machine learning is that is won’t only affect the search engines, but the companies and business organizations will have to adapt to this trend to stay ahead of the SEO and content’s game. Machine learning combined with better analysis and innovative testing methods is significant for comprehension of business success and failure.